Every once in a while, we would like to introduce you to something new. Today we would like to introduce you to the Cambodian Riel. It takes a lot of riel to get anywhere though. The exchange rate has been stable at around 4,000 Cambodian riel to 1 US dollar. 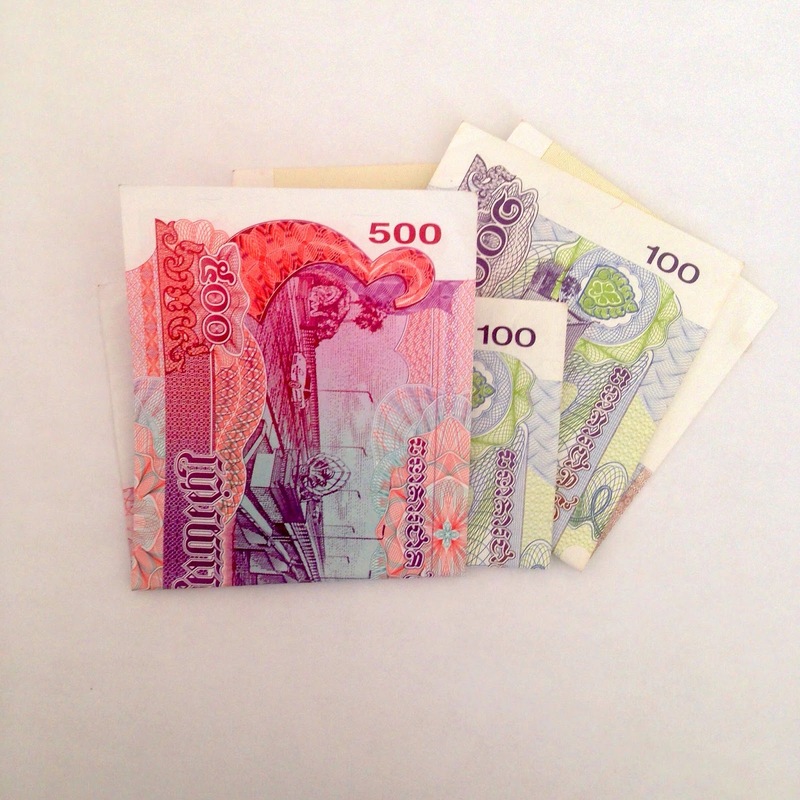 This exchange rate means that the colorful stack of cash you see sitting here is worth a whopping 17.5 cents. Luckily for us Cambodia also accepts and widely uses the US dollar, and unlike in many other countries that accept the US dollar, you don't get ripped off on the exchange by using it on the street. Most prices are quoted in dollars, and your change is usually given to back to you in US bills with Cambodian riel replacing coins. This system takes the math out of most equations, and since you are just using riel for change under a dollar, the stakes are low if your overwhelmed brain gets the math wrong.